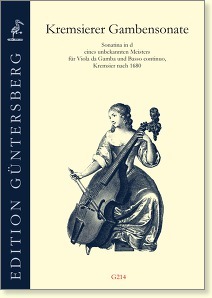 The manuscript of this Sonatina is preserved in the collection of Prince-Bishop Carl Liechtenstein-Castelcorn in Kroměříž, near today’s border between the Czech Republic and Austria. The time of origin has been determined as “after 1680.” Hitherto mentioned as possible composers were Heinrich Ignaz Franz Biber and Augustin Kertzinger, both of whom were active at the court in Kroměříž. 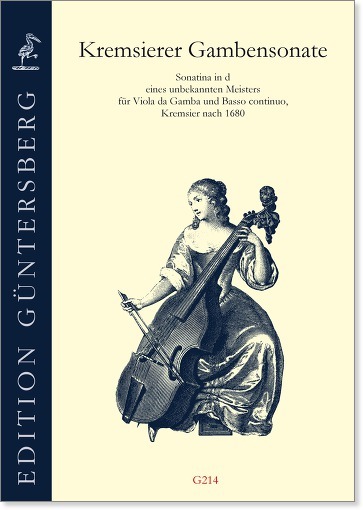 This work is an extraordinary and demanding composition, parts of which can be ascribed to the stylus phantasticus, that occupies a special position in Southern-German–Austrian solo viol music of the late seventeenth century.